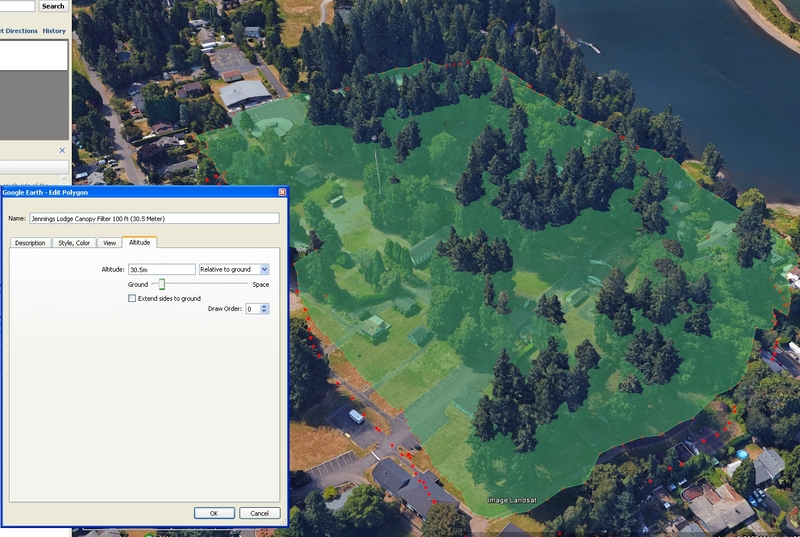 My friend Darvel Lloyd recently forwarded me a link to this fantastic new interactive map of the Portland metropolitan area’s urban canopy. 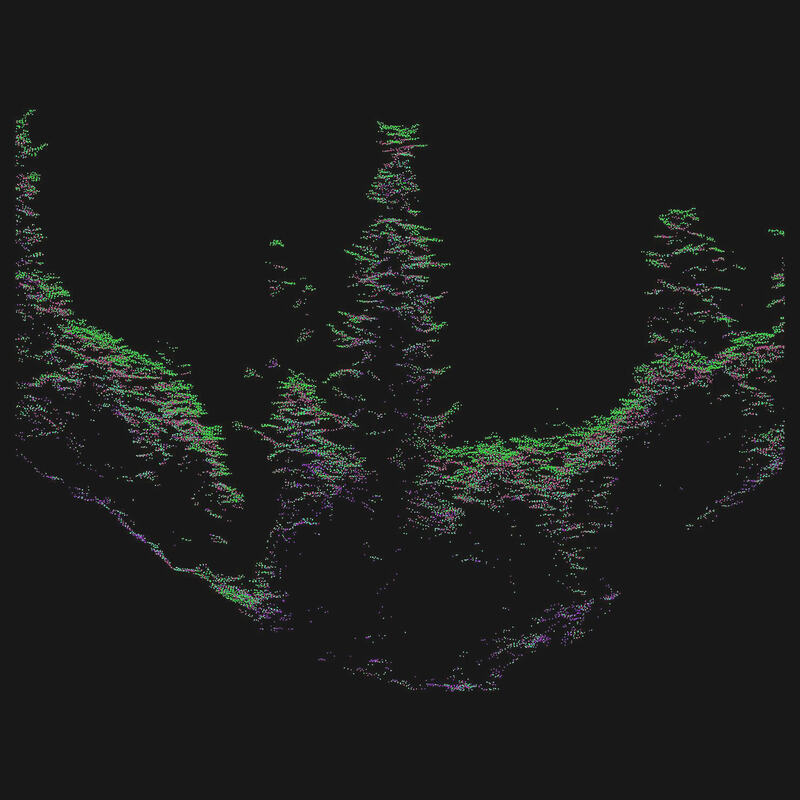 Individual trees have been mapped and plotted from 2014 LiDAR data for the whole of the Portland area. 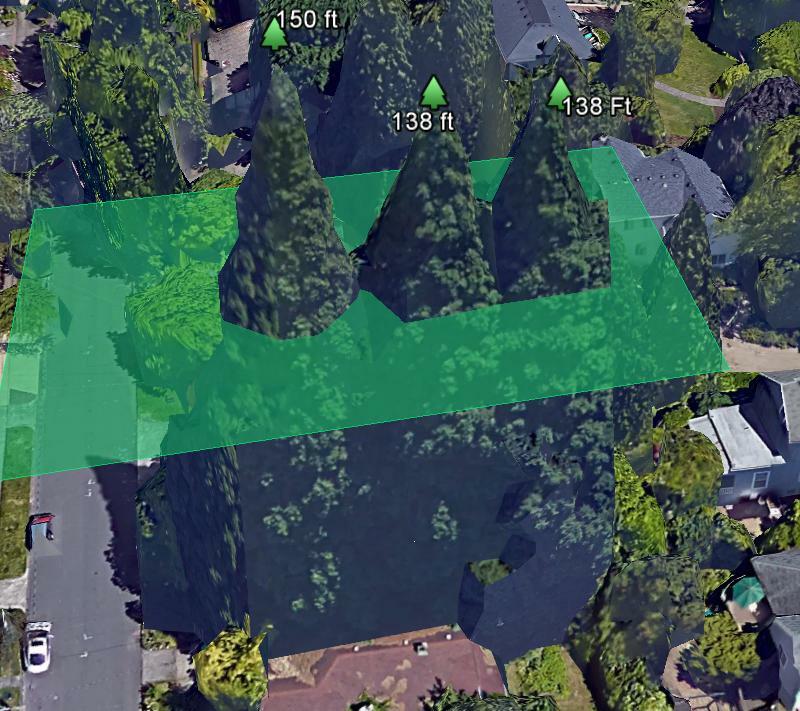 This is the single most important contribution to tree height research ever made publicly available to the Portland area, and greatly exceeds in accuracy and ease of use earlier methods I had utilized using Google Earth’s 3D function starting 3 years ago in my attempt to locate Portland’s tallest trees. 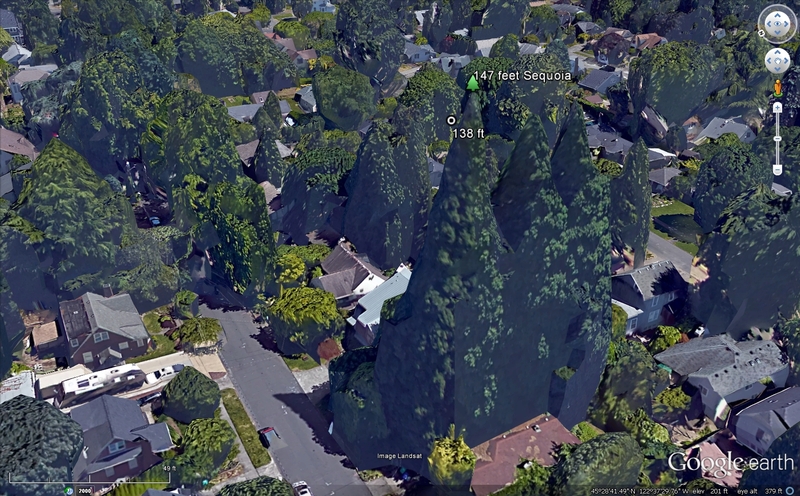 The new LiDAR tree heights are often a couple of feet taller than Google earth derived heights, but generally agree within 2%, plus or minus. Credit is to be given to the fine researchers at Portland State University. Sustaining Urban Places Research (SUPR) Lab in the College of Urban and Public Affairs at Portland State University. And a special thanks to Jackson Voelkel, Geospatial Research Analyst at the SUPR Lab, for stunning work on integrating LiDAR data for multiple complex GIS applications. This interactive map makes big tree research a lot more fun, and more importantly adds immensely to the study of individual trees in the grand scheme of the environment & climate change research, as well as what role trees play in mitigating urban heat islands etc. Jennings Lodge Estate – Prelminary Plans. The Jennings Lodge Evangelical center had been a campsite for church groups for 105 years. Local neighbors have reported seeing all manner of birds and animals; Pileated woodpeckers, Bald Eagles have been seen in the trees, and deer have even been known to occasionally frequent the area. 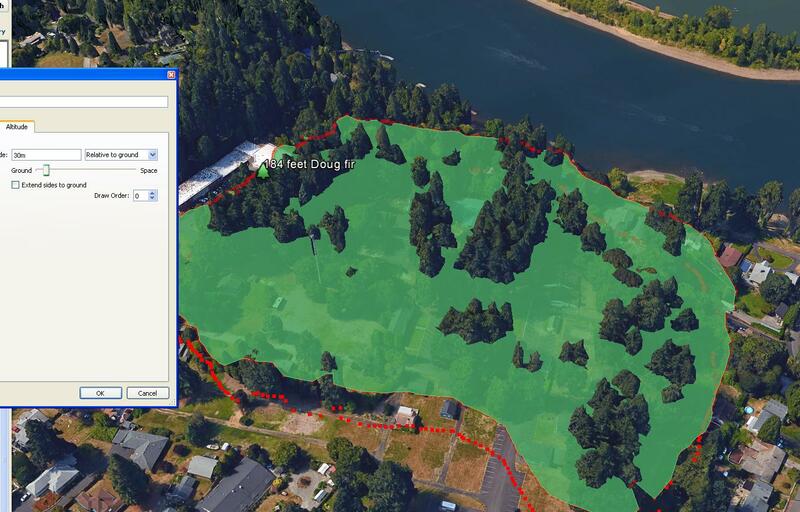 Being part of the Willamette river watershed, I believe a substantial number of birds and wildlife depend on the site, being so close to the river. The site would make an ideal park, given the large size of nearly 17 acres, grass meadows, and tree groves. 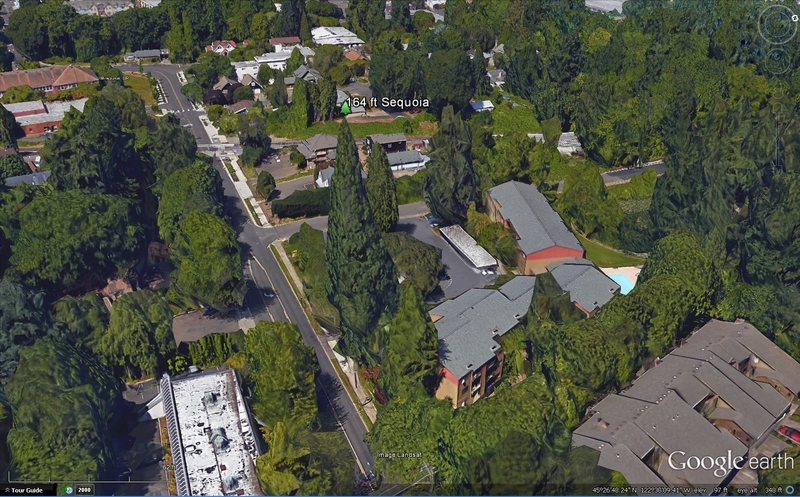 Turn on Google Earth’s 3D Buildings Icon. 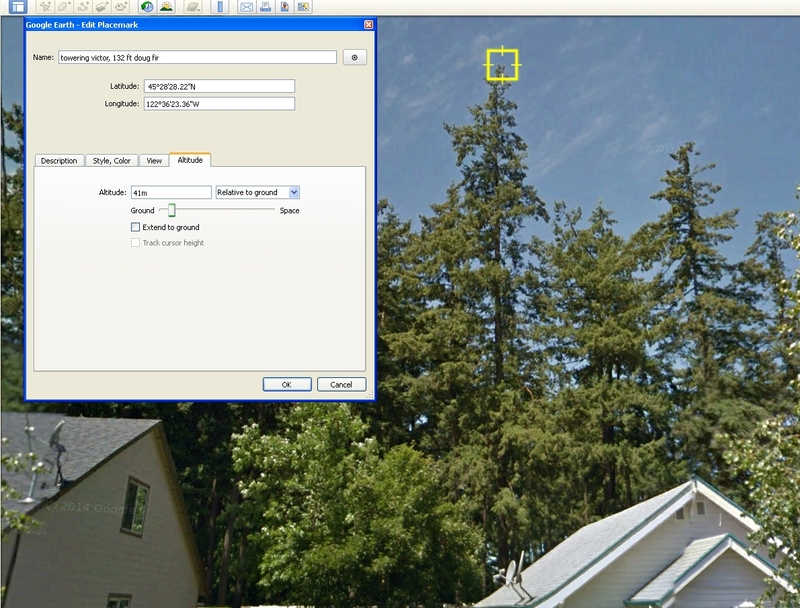 Create a polygon filter and adjust at desired altitude to filter height and find tallest tree. 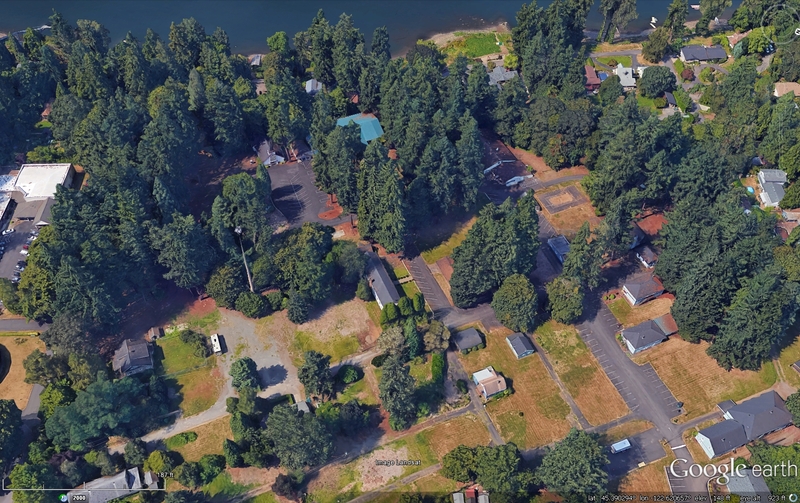 Google 3D renderings are photo realistic, and tend to be better than 95% accurate on flat land. Accurately measuring trees on slopes and steep terrain is much more difficult. 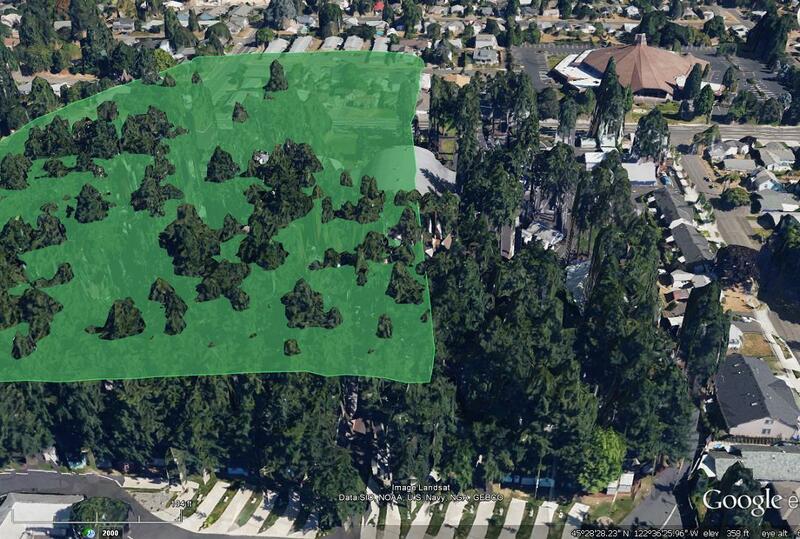 In this instance, subtracting crown height from base Google DEM terrain (non 3D mode) elevation will give a good proxy of height, yet DEM data itself can be inaccurate by as much as 50 – 100 feet. 3D Mode has finer and more exact elevation data. 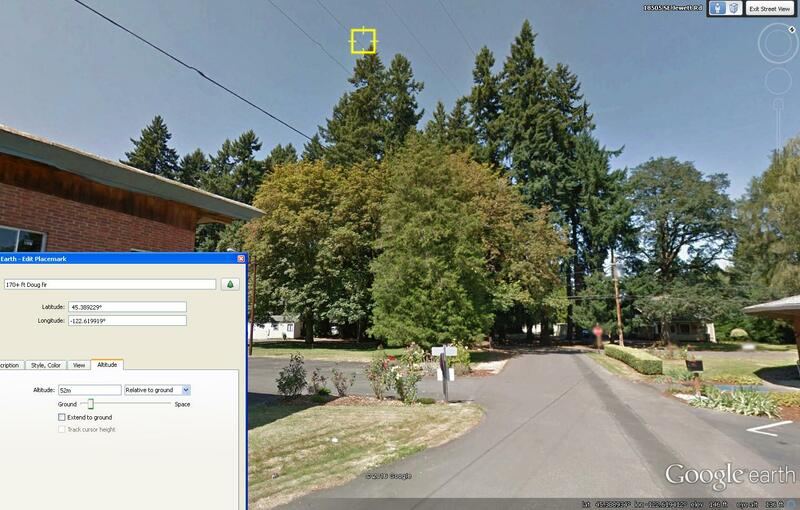 It is also worthy to consult other elevation databases to ensure accurate elevation at the base of the tree. The Antone Sechtem ranch was located in Happy Valley, sheltered between Mt Scott and Talbert Mountain, segmented by Sunnyside road, and was within a couple hundred yards of Mt. Scott Creek. A great sheltered valley for big trees. Very Large Cedar trees also once grew in this valley. 300 feet is about as tall as Portland’s newly built South Waterfront Apartments , and about twice the size of the tallest fir trees growing around most of inner Portland nowadays. Powell Butte & Forest Park do have some Doug firs over 200 feet (the tallest is 252 feet high in Macleay Park), and there are amazingly still some huge fir trees up to nearly 300 feet tall (280-290 ft) and 6 to 8.3 feet diameter at Oxbow Park, Gresham- 15 miles east of Portland- the tallest trees in the Metro. Lewis and Clark recorded in their journals a 318 feet tall fir tree, only 3.5 to 4 feet in diameter (pencil thin!) at the upper reaches of “Quicksand river” in 1806, around the present day Sandy River Delta Park, in Gresham. 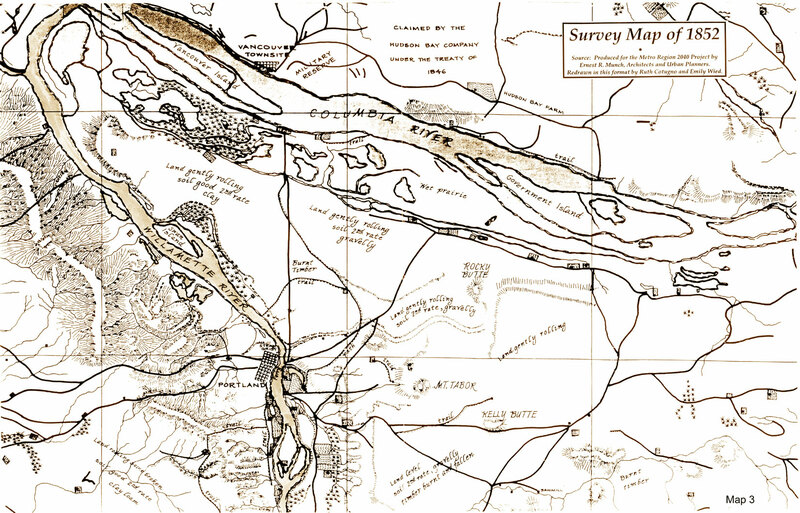 The 1852 survey map of the Portland basin shows evidence of a once great forest of Douglas fir, Hemlock, and Maple trees. 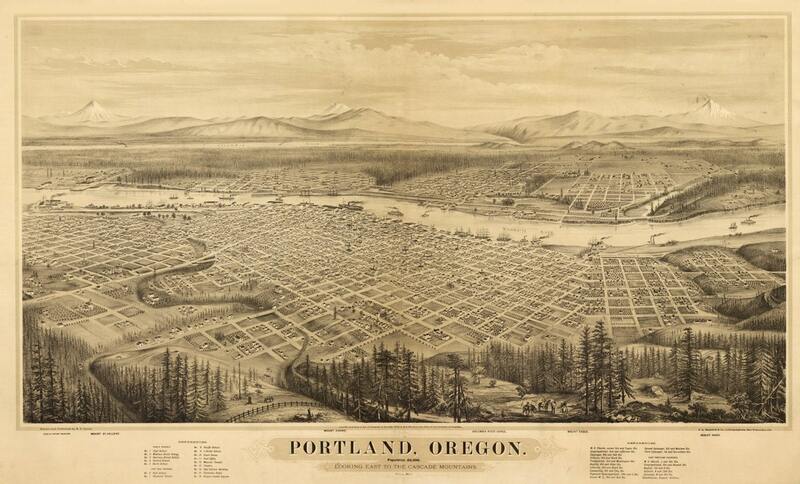 A series of fires between 1825 and 1845 burnt much of this vast forest so that Portland had great open meadows with burnt and fallen timber along most of the central basin and east side, with swamps and marshland extending from Powell blvd. southward down through Crystal springs, and Johnson creek. However, large groves of old growth trees remained east of 82nd ave, near Rocky Butte, down to Mt Scott and Happy Valley. The Honorable Andrew J. Dufur, (whose son later formed the town of Dufur, east of Mt. Hood) is quoted in an 1876 agriculture report that he had cut down a Douglas fir 321 feet in length and 6 feet 4 inches diameter, 30 feet from the ground. It can be assumed that this tree was removed by Mr. Dufur on his residence of East Portland, near the Columbia river, north-east of Rocky Butte, where he cleared his land of the tall timber, built his own cabin, and started farming along the Columbia slough between 1859 and 1872, in the present Parkrose neighborhood. Report of the Commissioner of Agriculture for the Year 1876 – pg 181. Dr. James Robert Cardwell was Portland’s first dentist, and later became president of the Oregon Horticultural Society. – Our Conifers Economically Considered. By Dr J.R. Cardwell – 5th Biennial Report of the Oregon Board of Horticulture, 1899 pg. 544-549. 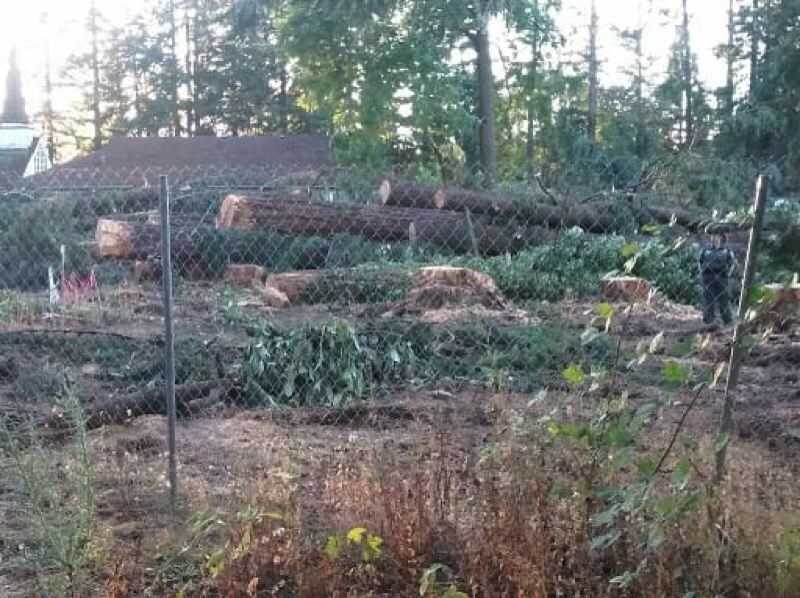 Another great Douglas fir 330 feet tall was removed by W. F. Tracy, on his property north of Portland, in Camas, Washington along the Lacamas headwaters. A 300 foot tall Douglas fir was also felled on the Ezra fisher land claim, east of present day Oregon City. The Quarterly for the Oregon Historical Society, 1916. pg 297. 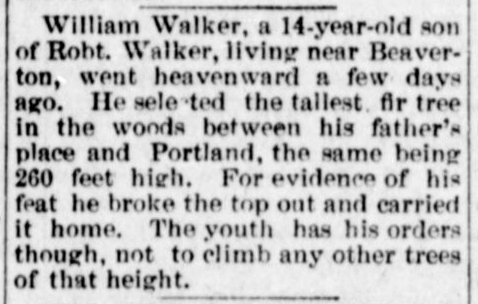 Then there is this amusing report of a boy free climbing a 260 foot Douglas fir out in Beaverton, Oregon in 1894! Accounts of fir and Cedar trees 350 to 400 feet tall, and 18 to 20 feet in diameter were even reported in some early newspapers – trees along Kalama, Washington, and a grove of enormous fir and cedars estimated at over 350 feet high and 20 feet diameter near Latourell, Oregon and the Hood river, north of Mt. Hood. 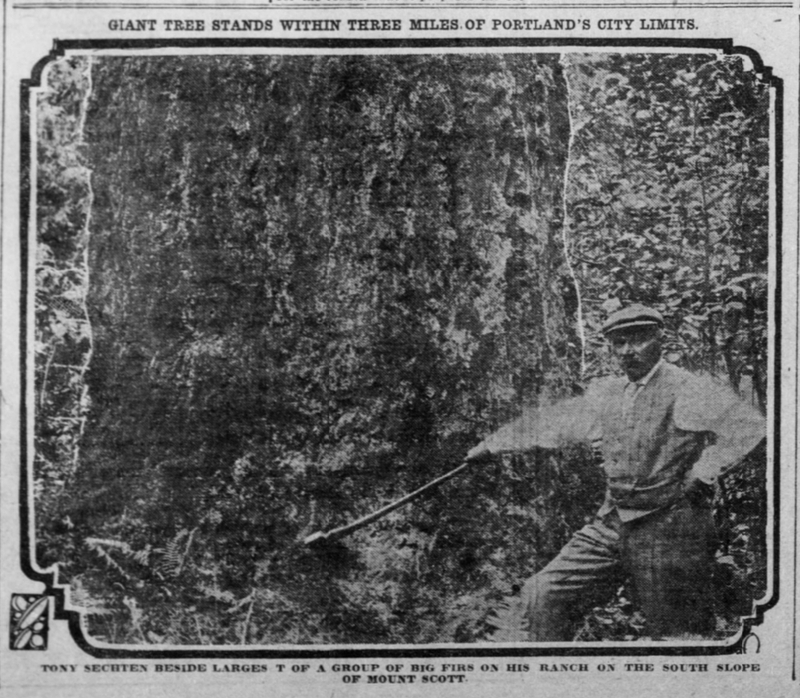 A report by L. Ferdinand Floss (A resident of Multnomah County, Oregon) of gigantic trees over 20 feet in diameter, and 350 to 400 feet high near Latourell, Oregon was printed in the Morning Oregonian, of Portland on June 14, 1900 page 10. A follow up article was printed in the Oregonian, the next day saying the find will no doubt be checked by an agent of the National Forestry Department. On November 29, 1912 the Oregonian printed a report from George T. Prather who confirmed that the big trees were still to be found standing, and that he had seen them. The Cook County herald. (Grand Marais, Minn.) December 08, 1900, Image 1. 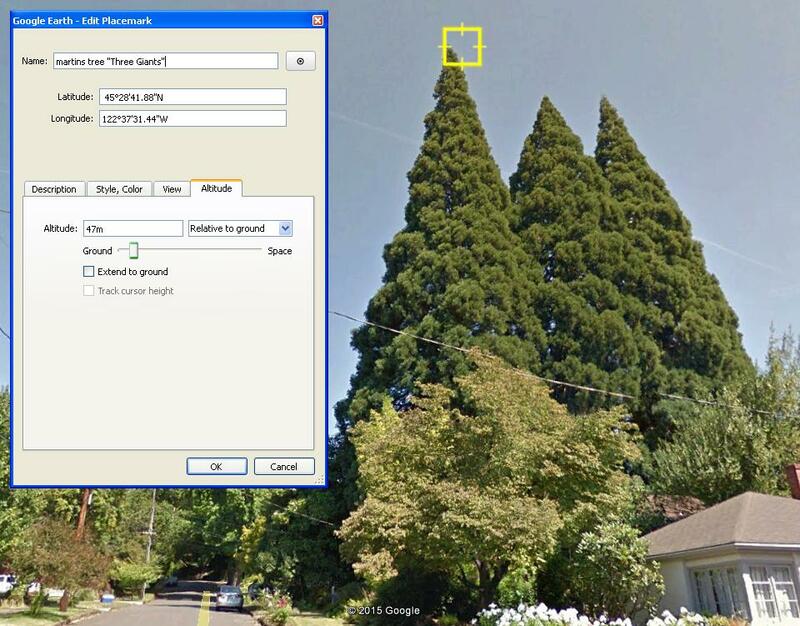 Portland too, may well have had some of these exceptional trees even higher than 300 – 350 feet, as occasional giants were encountered by pioneers settling the land around Seattle and Vancouver British Columbia over a century ago, sometimes 350 – 400 ft tall. (See my post on Tallest Douglas Fir, and claims of a 465-footer along the Nooksack river, Whatcom Wash. in 1896, and 415-footer north of Vancouver in 1902). 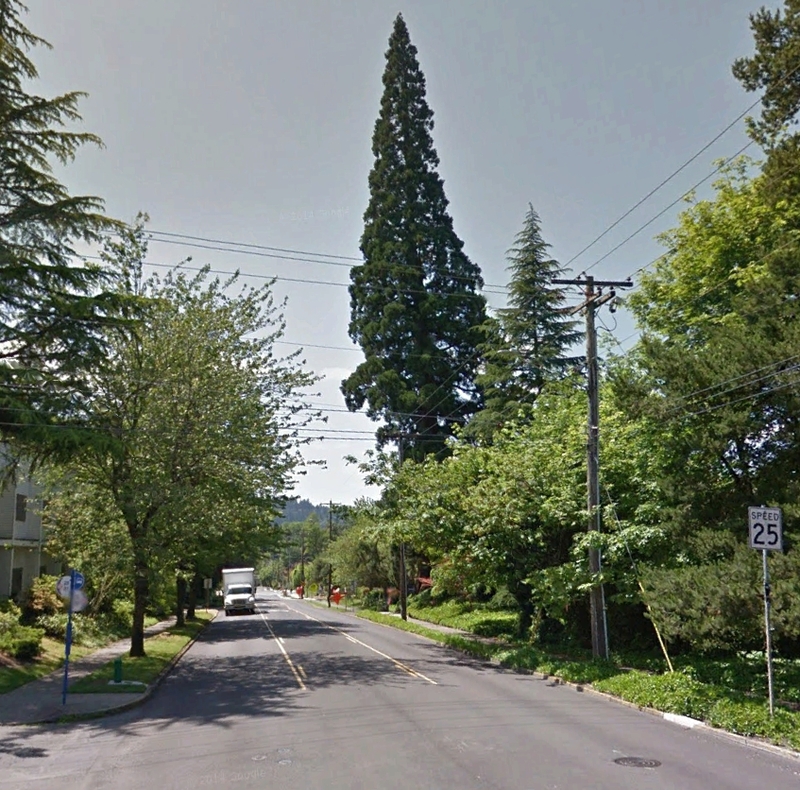 3 Historic Giant Sequoia Trees said to be 158 years old, up to 150+ feet tall, & 7 feet diameter could be cut down in Eastmoreland, S.E. Portland! – by MJ Ewers, 6-28-15. The tallest of these 3 Giant Sequoias may well be taller than any other tree in S.E. 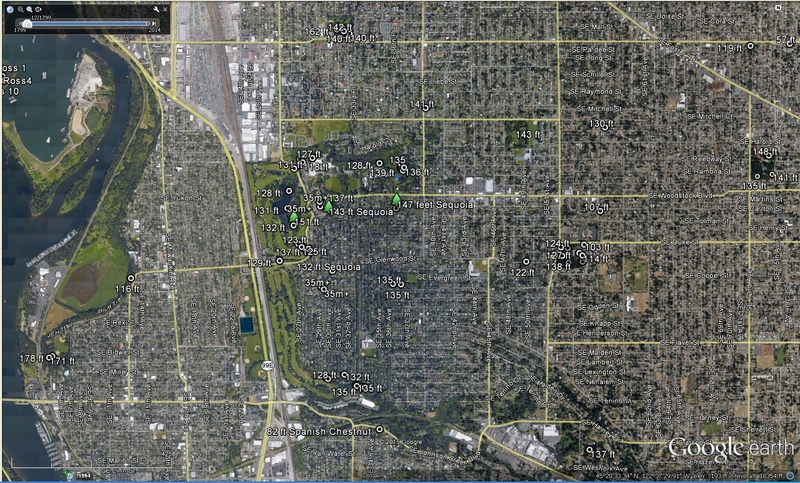 Portland for nearly a mile radius. Taller than any other trees in Eastmoreland proper, Woodstock Park, or the grove of Douglas firs at the Apostolic Campgrounds in Brentwood-Darlington, You don’t see trees higher than 150 feet except for one or two at Crystal Springs Rhododendron Garden,a few at Kenilworth Park, Mt Scott Park, and Sellwood Park has some firs up to 175+ ft — about 1 to 2 miles away. Losing some of the tallest trees of inner S.E. Portland would be unfortunate. I figure, that if each of these trees is from 6-1/2 to 7-1/2 ft diameter, range from 140 – 154 feet tall, then they contain about 1,300 to 2,200 cubic feet of biomass in the trunks alone (volume of a cone). You would need a stand of about 15 – 20 big Douglas firs, 120 feet tall and 3 ft diameter each to equal the same amount of biomass as these 3 Sequoias! 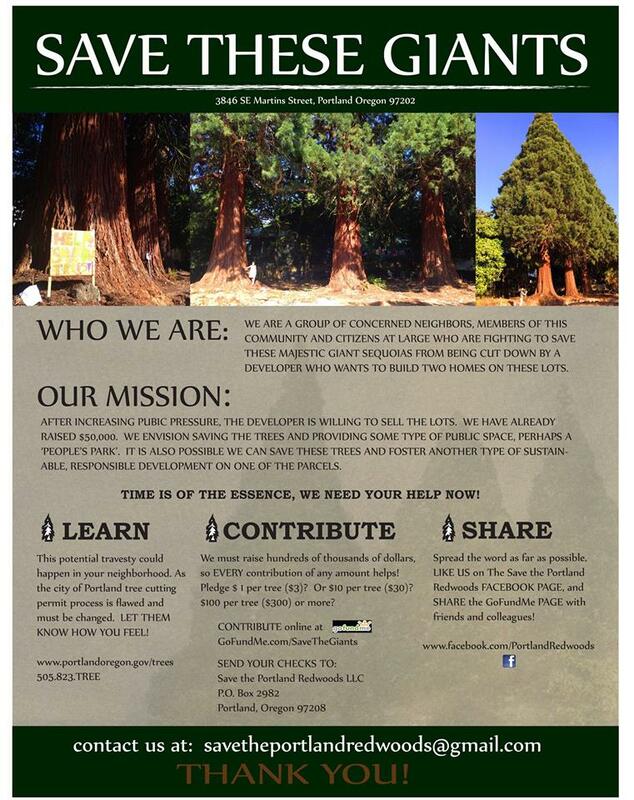 Neighbors have raised $50,000 to protect the giant trees, but this only delays their harvest by a week! Neighbors and citizens are trying to raise an additional $900,000 to to puchase the property from the developer and possibly turn it into a small park or green space. 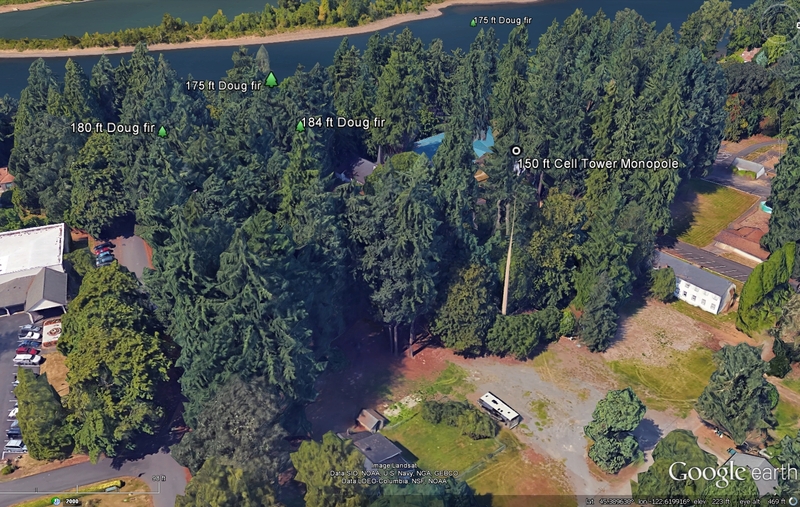 My initial estimate placed these trees at 138 to 147 feet high, based on Google Earth 3D, subtracting the tops, 323 ft, from the DEM ground elevation of 176 ft. However, measuring the tallest of these 3 in person with inclinometer on 6/24/15, indicates they are slightly taller– the tallest approx. 153 ft.
156 ft + Sequoia at Lownsdale Square. 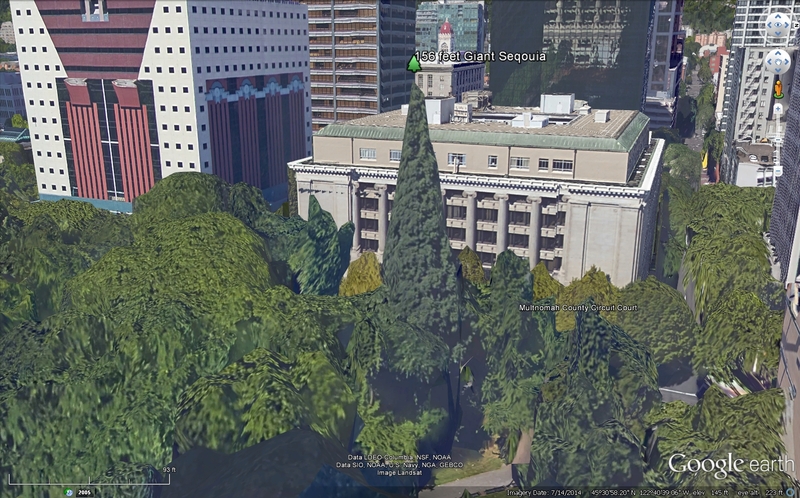 There are a similar number of giant Sequoias not yet nominated as Heritage trees: A 156+ foot tall Sequoia at Lownsdale Park, in front of the Multnomah County Court House, and a 164 ft tall Sequoia at the 2700 Block of S.E. Harrison, in Milwaukie , near the Crystal Lake Apartments. 164 foot Sequoia, S.E. Harrison Street, Milwaukie, Ore.
Harrison St Sequoia, Milwaukie, Ore. Subtracting polygon tree ht of 239 ft, from DEM elevation, 75 ft = 164 ft.
c. 1800-1950 Newspaper + Smithsonian Ethnology reports of giants & lost races, mound builders etc (the primary source material of a century later) — what some fondly refer to as the period of “the giant craze.” I’d say the whole Victorian era can be summarized as the epicenter of this so called “giant craze”, with the Smithsonian opening the mounds, farmers clearing their fields and press accounts almost every other day announcing a new “giant” find. 1868, Edward J Wood, “Giants and Dwarfs” lists many historic giants. 1894-98 – Dictionary of Phrase and Fable – By Ebenezer Cobham Brewer, “Giants of Real Life” lists historic Giants by name and “reputed” stature. 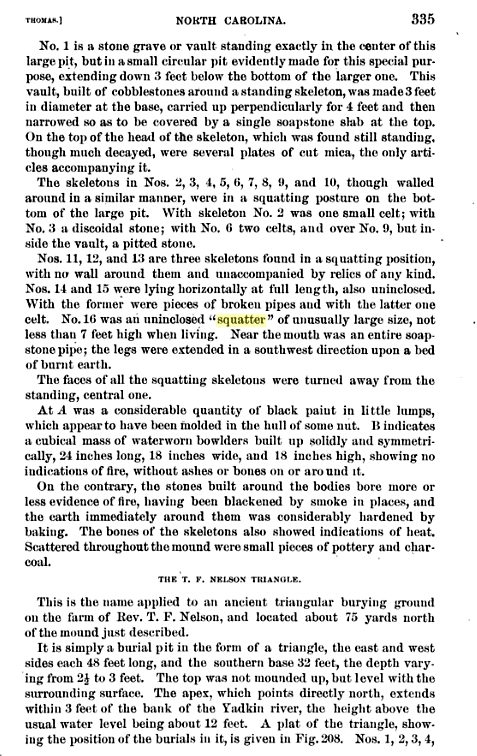 1880-1930 Helena Blavatsky’s “The Secret Doctrine”, Theosophists, occultists, as well as Masons, and Rosicrucians (“The New Age Magazine”) compile press accounts of giant skeleton discoveries in their bulletins and publications, as further evidence for their causes. c. 1890-1900 George Sheldon, of Mass. 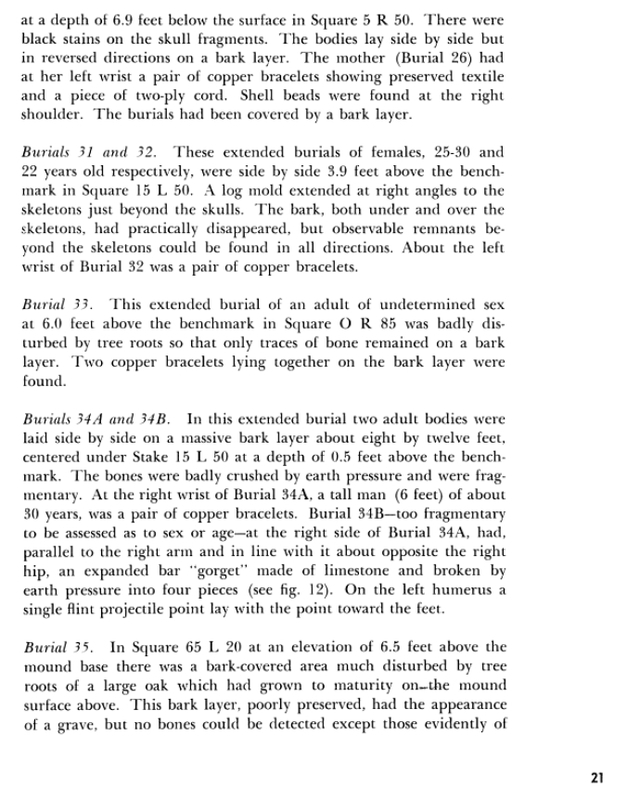 Compiles contemporary newspapers accounts of giant skeleton finds, c. 1900 pasted in his scrap book. Personal scrap book Viewed by Jim Vieira in 2012. 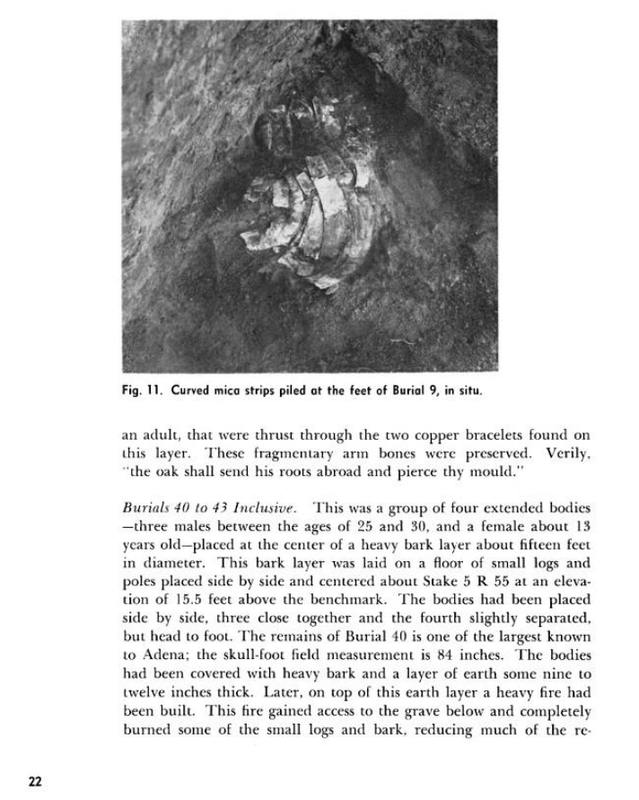 1920-1940’s John T Reed, Lovelock Nevada, compiles scores of contemporary newspaper clippings of Giant skeleton finds stapled together in his personal files, archaeological finds, and other research. His personal diaries, journals, interviews with local Indians, anthropological and scientific theories of the Red Headed giants, and many other topics comprise a collection of some 90 cubic feet at the Nevada Historical Society as of my viewing in May 2014. 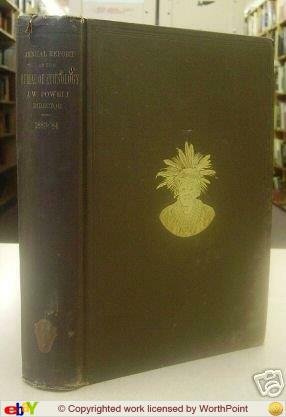 1922, Henry Wysham Lanier, “A Book of Giants: Tales of Very Tall Men of Myth, Legends…” Lists many historic giants. 1930 , C. J. S. Thompson, “The Mystery and Lore of Monsters” – lists many historic giants. 1935-1950 Gigantopithecus, Meganthropus, Weidenreich, Von Koenigswald-Apes, Giants and Man-1946 by Weidenreich. 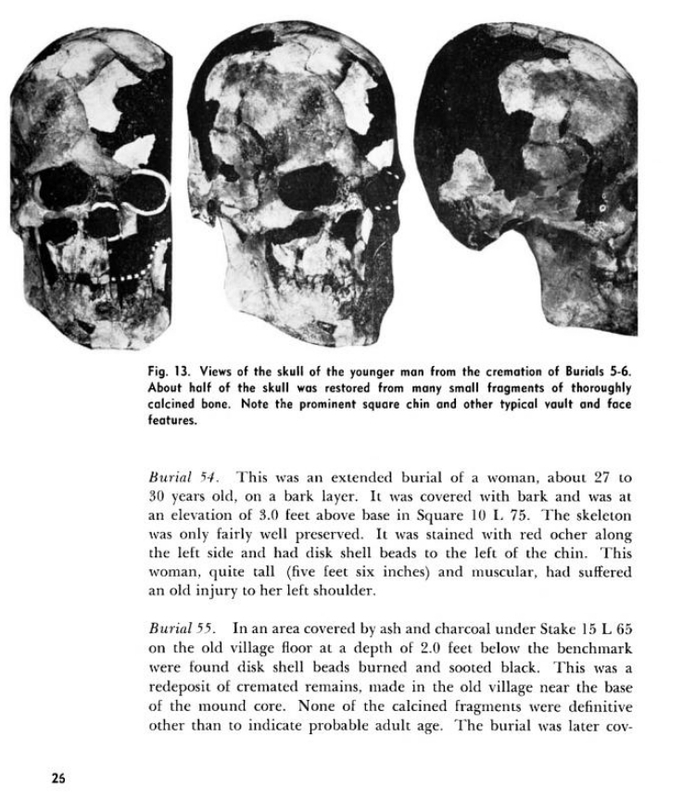 1945, Mysteries of Ancient South America – Harold T Wilkins, lists giant skeletons reports. 1950’s-60’s-modern Bigfoot era born, John Green, Dahinden, Patterson& Gimlin, Krantz & others. 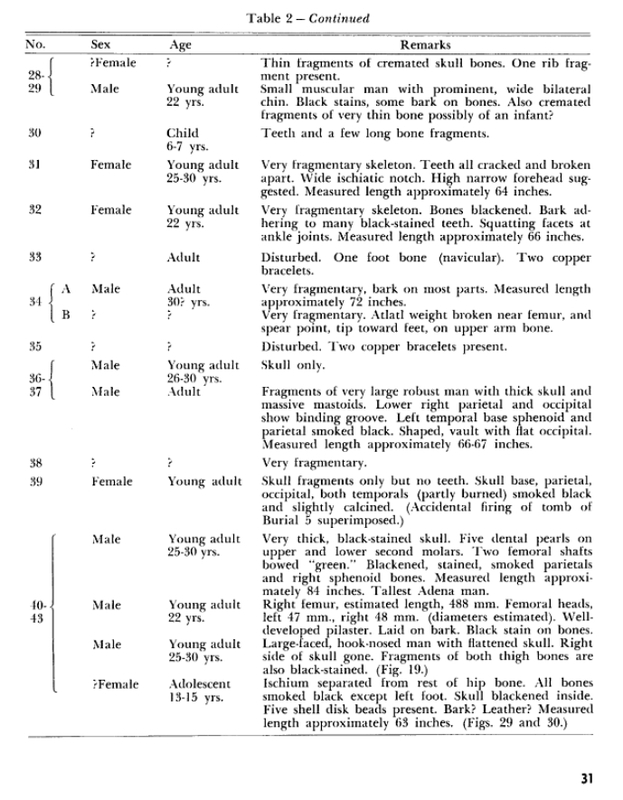 1959, Frank Edwards “Stranger Than Science” lists giant skeleton finds. 1961 Ivan T Sanderson, “Abominable Snowmen: Legend Come to Life”, mentions giant skeletons, and stories of Smithsonian & other institutions collecting them and then disappearing. Compiled lists and correspondence with those who claimed to have knowledge of bones, but was never able to track down a single bone or skeleton. 1968 – Chariots of the Gods, Von Daniken, ancient alien + Giants, theory hatched. 1970 to present. Rex Gilroy, naturalist, cryptozoologist, and mystery writer of Bathurst, N.S.W, Australia, and “Father of the Yowie”, compiled reports of giants, 3,000 Yowie sightings, wild man and and giants in oral histories of the Aborigines, and investigated fossil and contemporary purported evidence & footprints of giants. His 2001 book, Giants From The Dreamtime: The Yowie In Myth And Reality. 1970 Giant: the pictorial history of the human colossus, by Polly Jae Lee. 1970-74, “Not of this World” & “Timeless Earth” by Peter Kolosimo mention giant skeleton finds. 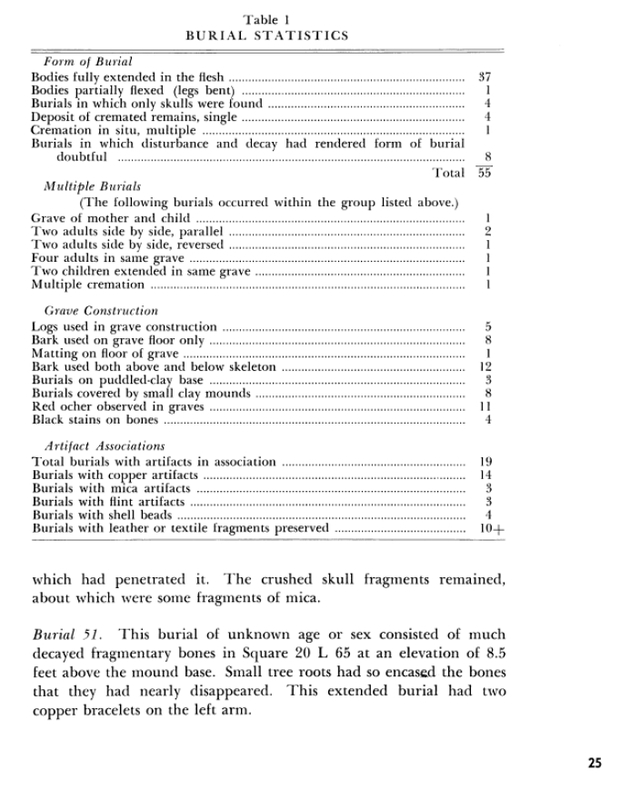 1972 Robert Charroux, “The mysteries Unknown” list giant skeleton finds. 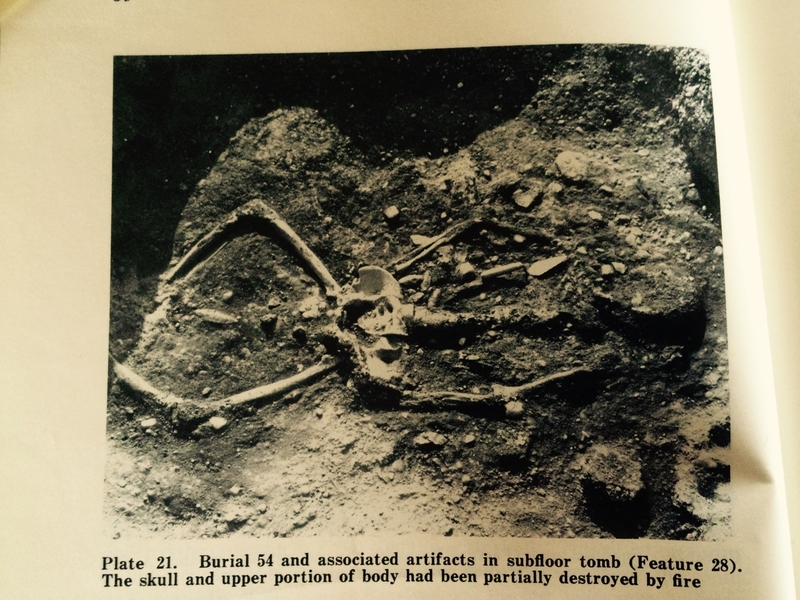 1978, Jim Brandon’s “Weird America” lists giant skeleton finds. 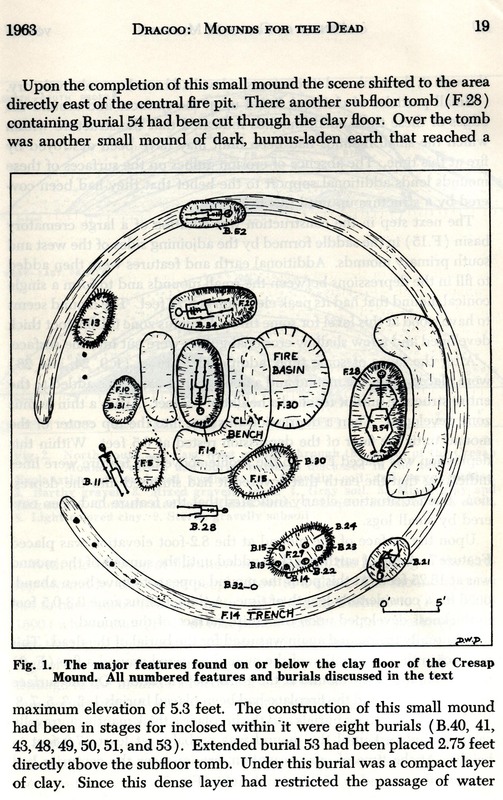 1979, Joseph R Jochmans, “Strange Relics from the Depths of the Earth” pub. by Bible-Science Assoc., lists reputed giant skeleton accounts. 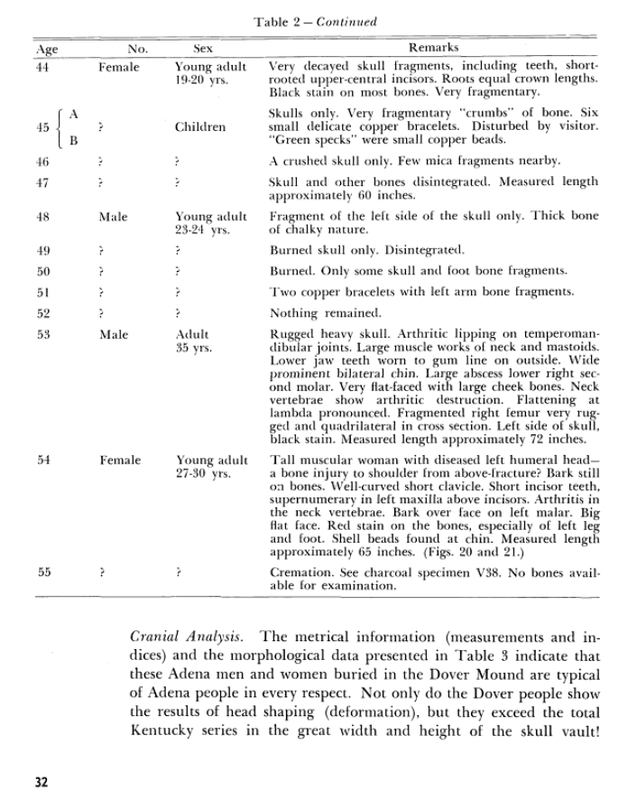 1979, Roy Norvill, “Giants: The Vanished Race of Mighty Men” lists many giant skeleton accounts. 1980’s-90 Carl Baugh, Paluxy “man” tracks, Texas, Creation evidence+ giant humans and giant animal theories put forward. 1986 to present-David H Childress’ ” Smithsoniangate” for Nexus magazine and Far Out Aventures LLC. 1989-1993. & and his many books of the “Lost Cities Series”,1986-2000’s which include many giant skeleton reports from N. America and abroad– and forged the beginning of the 20+ year Smithsonian conspiracy theory phase. 1993 Forbidden Archaeology, Michael Cremo, Richard Thompson. Assert massive cover-ups of archaeological finds in the last century, in a massive 900 page work. 1993-to present. Ancient American Magazine, by Wayne May, with guest writers Frank Joseph, David Cain, E.Z. Tinkler, & others write periodicals on giants, giant skeleton finds, lost civilizations in America etc. 1995 Charles DeLoach’s “Giants: A Reference Guide from History, the Bible, and Recorded Legend” an encyclopedic volume. Very comprehensive book, listing historic and legendary giants. 1995, Red Earth, White Lies – By Vine Deloria Jr. & Evolution, creationism, and other modern myths, 2002 – by Vine Deloria Jr. deal with the subject of giant humans and giant animals in Native American oral history, and the fossil record. 1996-1997 Chuck Missler’s articles, “Return of the Aliens? As The Days of Noah Were”, “And Also After That’: The Return of the Nephilim?” , & “Mischievous Angels or Sethites?” – Koinonia House. 1998 Notes on the Nephilim: The Giants of Old, James Montgomery Boice, Baker Books, Copyright 1998. Excerpt from Lambert Dolphin’s website. 2000 TLC Documentary “Giants, Mystery and the Myth”- interviews Brad Steiger, David Childress, Jim Marrs & etc, discuss mound giants+Lovelock cave, and the Smithsonian conspiracy theory. 2000-2002 Brad Steiger on Coast to Coast radio, promotes books and TLC documentary “Giants, Mystery and the Myth” and talks Giant skeletons, compiled 10 pages of giant skeleton reports. 2000 to Present, Ross Hamilton, Patricia Mason, & noted Native American scholar & professor Vine Deloria Jr research giants. Ross writes his first book in 1993 “The Mystery of the Serpent Mound: In Search of the Alphabet of the Gods” and subsequently starts his Serpent Mound website in 2000, and writes his hallmark article in Ancient American Magazine, and later Nexus magazine: “Holocaust of the Giants: the Great Smithsonian cover-up”, and “A tradition of Giants” in 2001. Ross teams up with Vine Deloria Jr in 2001, and he and Patricia Mason compile over 500 items relating to historic giants & skeleton accounts in Ohio, Michigan, Illinois, New York, Pennsylvania, Kentucky, West Virginia, Alabama, and the Mississippi river valley by the year 2003. Ross’ articles become a huge success over the internet, and in 2007 he publishes his opus book, “A Tradition of Giants”, with recent new revised editions published by 2012-2014 at Academia.edu, and later he writes his genius work “Star Mounds: Legacy of a Native American Mystery” in 2012. Ross is considered the “Godfather of Giantology” by many authors at present. Also, See: Vine Deloria Jr. 2002 Interview on “Giants and Little People” Laura Lee radio show, and his 2003 presentation at the American Indian Festival of Words, Tulsa, Oklahoma where he mentions his giant research with Ross, and Patricia. 2000-2007 Kent Hovind & Carl Baugh lectures on giants, pref-lood conditions, Garden of Eden Series, Creation ministries. 2000-2001+, Xpeditions Magazine by Jerry Wills, online magazine posted articles of giant skeletons & Lost Civilizations from Ancient American Magazine, as well as their own investigations. 2000-2007, The First Fossil Hunters & Fossil Legends of the First Americans series by Adrienne Mayor. Deals with the theory that ancient fossils were mistaken for giants/monsters. 2002 – Steve Quayle’s opus work “Genesis 6 Giants”, & other books. Airs his “Q-files” radio show, and appears on a total of 85 Coast to Coast radio episodes over the next 12 years (potentially 25 – 50 million accumulative listeners). The Single Most influential person at bringing the subject of Giants, Nephilim, & fringe conspiracies of their skeletons back into the modern sub-cultural awareness in the 21st century– & More or less putting giants back on the map. 2002-2009 Ancient Lost Treasures forum, online. Info, and compilations of giant accounts, NY Times WA post. Moderator, White Eagle. 2002- Giants and Little people, tribal convention at Frank’s Landing, WA. State, Vine Deloria Jr and other Native elders discus giants & little people. 2002+ Mary Sutherland’s website burlingtonnews.net, giants, paranomral and other topics. 2003 to Present, Fritz Zimmerman. His hallmark work “Nephilim Chronicles, Fallen Angels in the Ohio Valley” was published in 2010, includes over 300 giant skeleton accounts, researched from 10,000 works using Library collections in Indiana Univ. Archives. 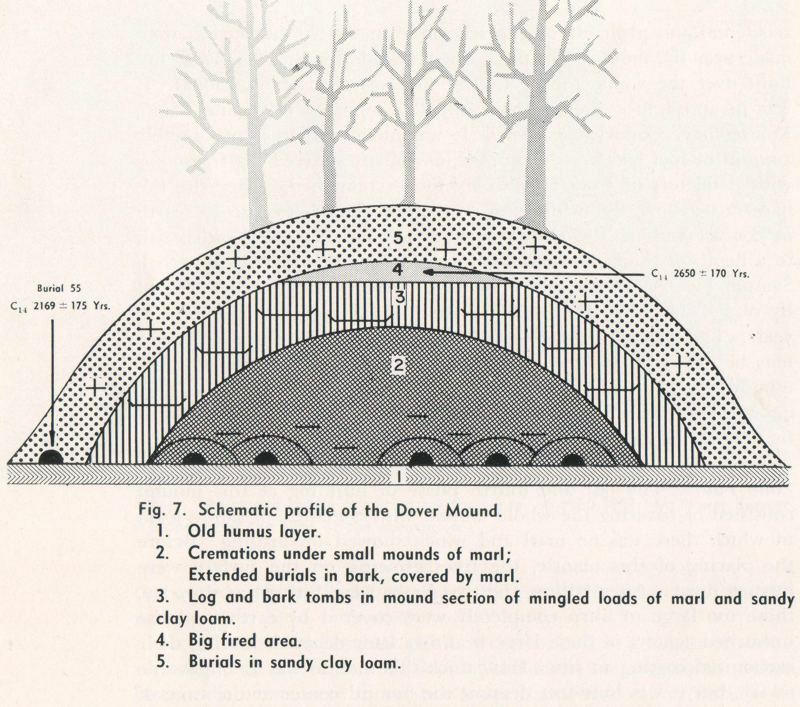 His accompanying travel guide includes over 200 mounds, from the nearly 800 mound and earth works he has visited and documented. His work started out at around the turn of the century, documenting several mounds in Indiana for a small documentary film company he headed. From 2003 to 2007, he had a website Moundbuilders. 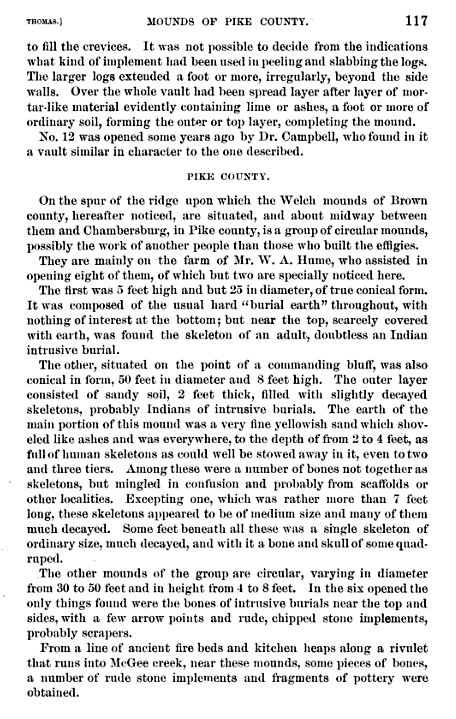 org with many accounts of giant skeletons, and mound sites compiled. He has written for Ancient American Magazine, L. A. Marzulli newsletters/ books, has numerous blogs and websites and most recently published a 2015 Encyclopedia on North American giants, 888 accounts. Zimmerman is the first author in the 21st century to propose a specific Nephilim Cro-magnid early colonization of the Ohio Valley in the copper /Bronze age, combining numerology, mathematics, skeletal morphology, artifact, and edifice similarities between New and Old Worlds to draw his conclusions. 2003+Chris Parker’s S8int.com – Creationism, giant skeleton reports etc. 2003+ Mysterious World website: Doug Elwell Giants etc. 2007 to present, Dale Drinnon’s Frontiers of Anthropology blog, giants, ancient civilizations, and other blogs on cryptids etc. 2009-2015+ M.J. Ewers/ J. Strouse/ Rephaim23 blog & Micah E Giantology Facebook page. Research consultant, assisted Jason Jarrell, Jim Vieria, Chris Lesley, L.A. Marzulli, Ross Hamilton, Terje Dahl and a half dozen other independent researchers in compiling approx. 1,500, 2000+ newspaper & journal accounts relating to giants. 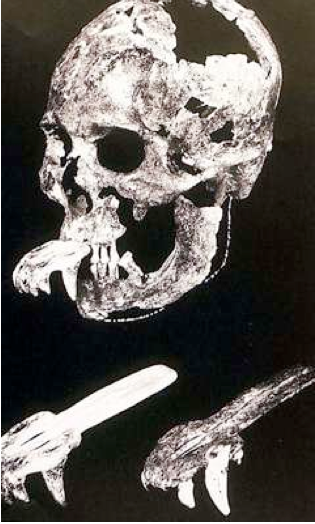 2010+ Terje Dahl, Giant researcher and one of the first to propose Denisovan theory in America. 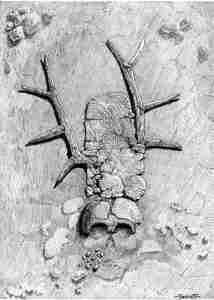 2010+ Brad Lockwood: “On Giants,” research in up-State NY giants, & critical commentary on giants. 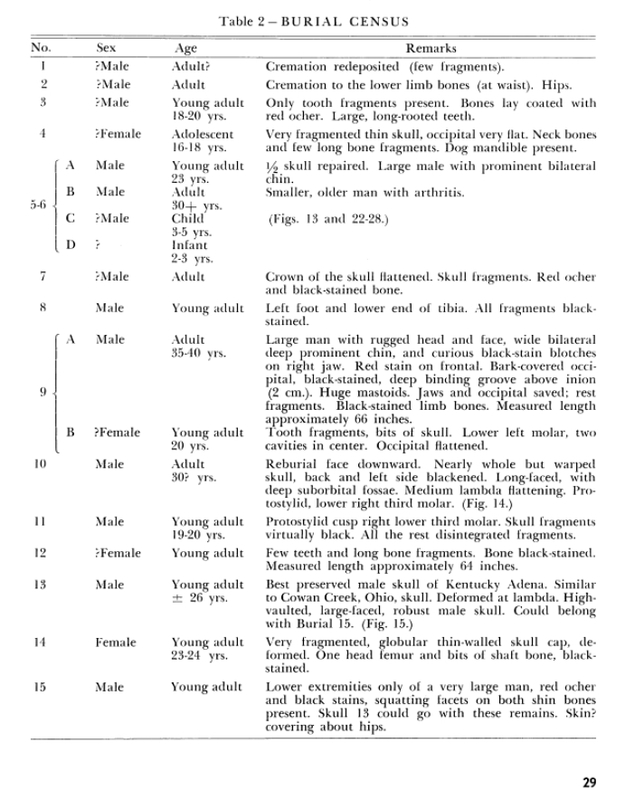 2010, Mark Hall & Loren Coleman: TRUE GIANTS: Is Gigantopithecus Still Alive? 2010 to present Chris Lesley, Greater Ancestors world museum, lists of several hundred giant skeleton finds by state & nation. Greaterancestors.com. 2012 to present, Jim Vieira + Bill Vieira, & Hugh Newman: Stonebuilders, mounds builders & Giants Facebook page. Jim’s TedEX talk, Daily Giant Facebook page & Search For The Lost Giants TV show, History Channel in 2014–They compile approx. 1,500 accounts, with assistance of M.J. Ewers and others. See: Cecelia Hall’s 2013 google earth giant skeleton map project. 2012-2013- Missing 411 Series, David Paulides.His other works: Tribal Bigfoot 2009, Hoopa Project 2008. 2012 – Michael Heiser, The Façade (The Façade Saga) (Volume 1) and his website, and critical commentary on giants & ancient alien theories. 2013 Joe Taylor, “Giants against evolution” compiles scores of giant accounts and stories. 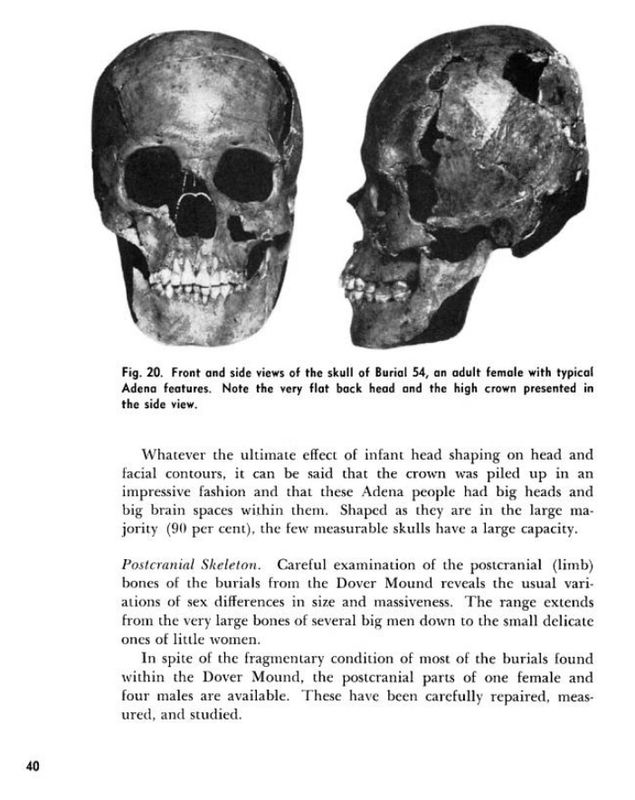 2013 – Richard J Dewhurst’s: The Ancient Giants Who Ruled America: The Missing Skeletons and the Great Smithsonian Cover-Up – very large and encompassing book, very popular – has several hundred accounts of giants. 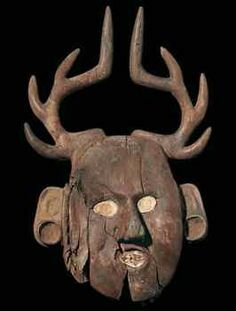 2013 Micah Hanks articles on giants & Smithsonian, & commentary. 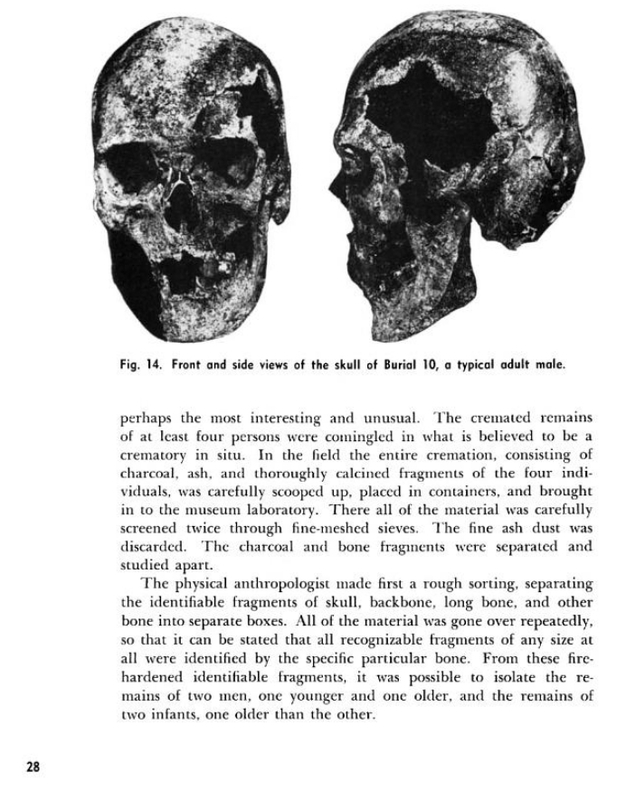 2013- The Enigma of Cranial Deformation: Elongated Skulls of the Ancients, David Childress & Brien Foerster. 2013-2015, Greg little, Andrew Colins: “Path of Souls”, compiles reports of giants in the Archaeological literature from mounds in USA. 2013-present Sharon Day – ghosthuntingtheories.com, blog on Giants, bigfoot commentary and research. 2013-Present, Bernhard Beier www.atlantisforschung.de, Giants & Atlantis. 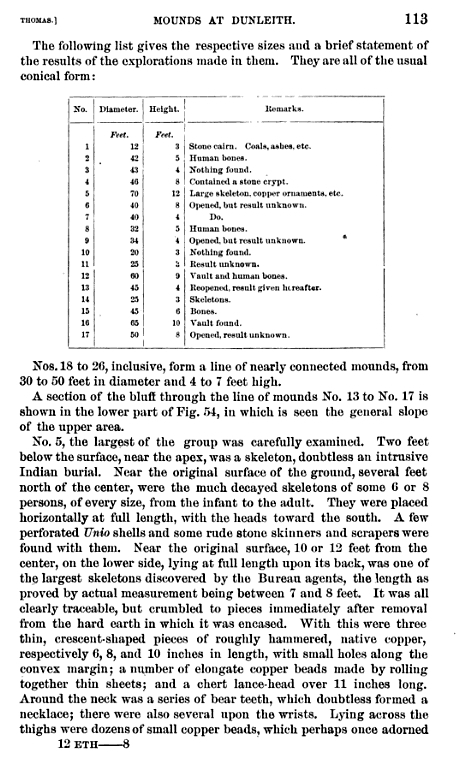 Lists of giant skeleton reports. 2014 to present, Jason Jarrell and Sarah Farmer write articles For Ancient American Magazine and AP Magazine: The Adena Giant Revealed, Giants of Doddridge Cunty, Uruk is Fallen, The establishment has Already recognized a Lost Race of Giants, The Adena People and the Prehistoric Colonization of America, Ancient Earthworks of North America Suggest Pre-Columbian European Contact, and several others. Their website: alleghenymounds.com includes links to their works, and multiple radio interviews. 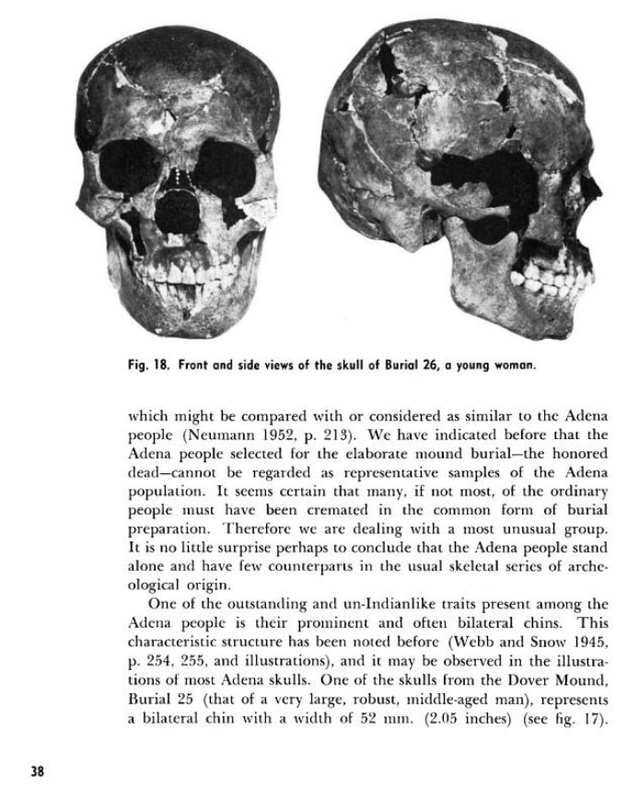 2014-15 – Andrew White Anthropology blog- Giants, double teeth, etc. & critical commentary. 2010+ (2012-2015 especially) Jason Colavito’s blog, critical commentary on giants, ancient aliens, alternative archaeology, and the fantastic. 2014+ Ark & Neo, Digging for the Truth & Facebook page: Old Newspaper stories, reports of giant skeletons, cryptids and other strange phenomena. 2012-2015 updated editions of “A Tradition of Giants” by Ross Hamilton at Academia.edu. Originally published, 2007. This is the hallmark work of the first great 21st century scholar on the mounds and giants in North America. 2014-2015 Search For the Lost Giants, History Channel, Left Right Productions. Starring Jim and Bill Vieira. Seeks evidence of Big skeletons in N. America. 2015, Genesis 6 Giants, vol. 2, by Steve Quayle. 2015, The Encyclopedia of Ancient Giants in North America by Fritz Zimmerman. 888 Giant skeleton accounts compiled. 2015, Giants on Record: America’s Hidden History, Secrets in the Mounds and the Smithsonian Files, By Jim Vieira, and Hugh Newman. Foreword by Ross Hamilton. Showcases a couple hundred out of 1,500 newspaper accounts and early eyewitness reports of giants by explorers in N. America. Additonal research and contributions by M.J. Ewers & Cecelia Hall. 2016, Ancient Giants of the Americas by Xaviant Haze. See his 2016 Coast to Coast radio interview. 2017, Fefiphobia: Skeptics’ Irrational Fear of Giants—Part 1 & 2, Dec. 2016, Jan 2017 by Dr. Greg Little of AP Magazine. See Also: Greg little, Andrew Colins: “Path of Souls” 2014. 2017, Ages of the Giants – A cultural History of the Tall Ones in Prehistoric America. By Jason Jarrell & Sarah Farmer. 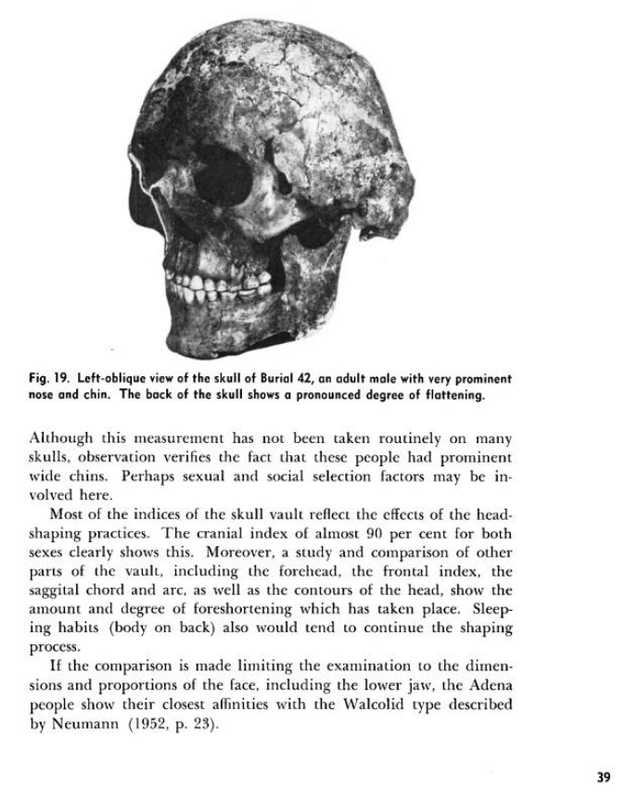 An impressive body of documentation on truly academic sources of the tall elite burials, spanning several thousand years in ancient mound cultures- from Smithsonian excavation reports, university archaeologists, county histories and press reports. This is a robust opus work, with 445 footnotes, and 300+ more references. I consider this to be the definitive work on Tall Ones, or mound giants – alongside Ross Hamilton’s, A Tradition of Giants. Jason and Sarah are currently working on book number 2. Skeleton from Ross, Co. Ohio — 5 ft 11 in long. 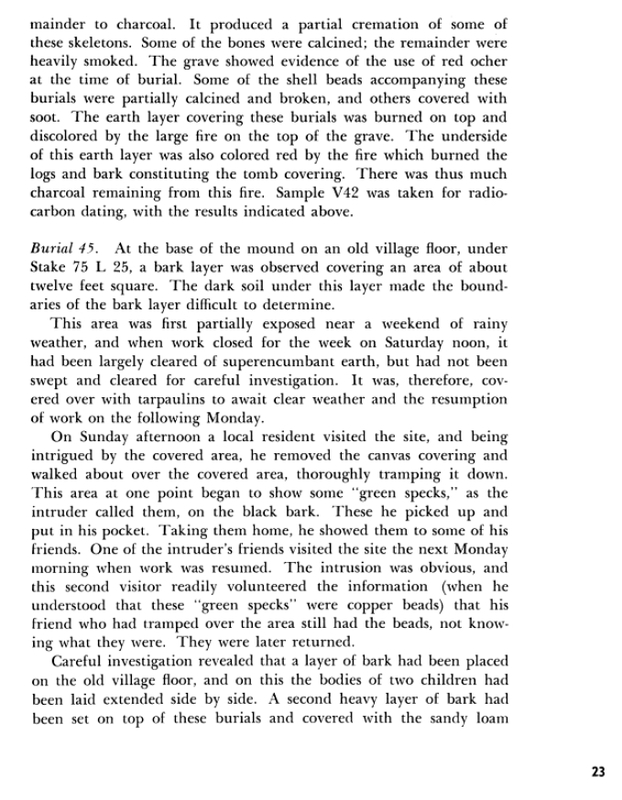 “The mound builders their works and relics”, Stephen Denison Peet, 1903 pg 79. 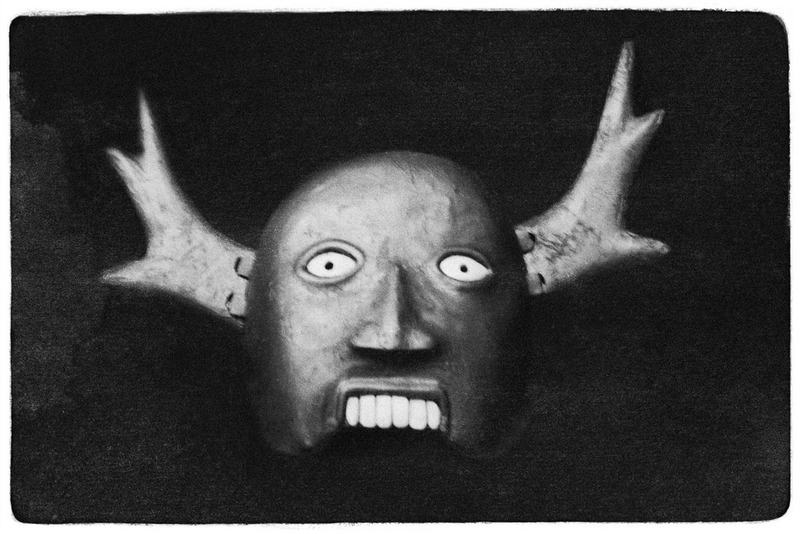 Other shamans wore canine and ursine false teeth inserted into their mouths. 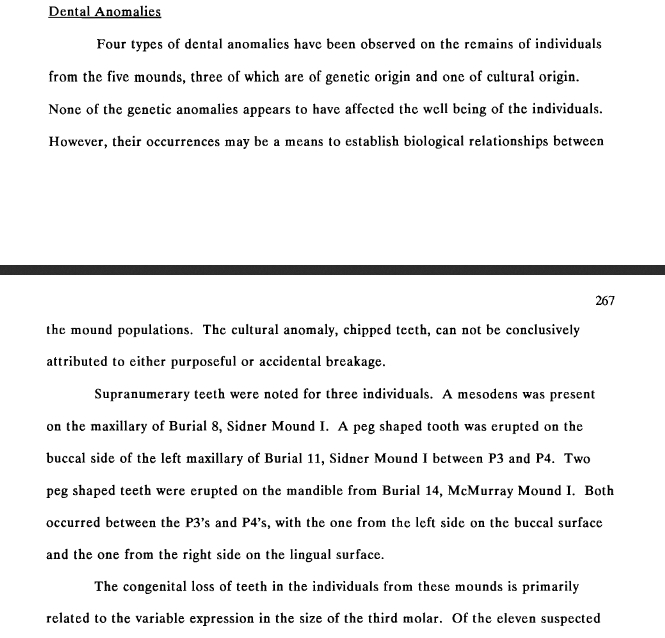 Perhaps this is one explanation for the common stories of double rows of teeth found in some of the mound skeletons in the 19th century? Adena skull with cranial deformation, and removable wolf tooth inserts. 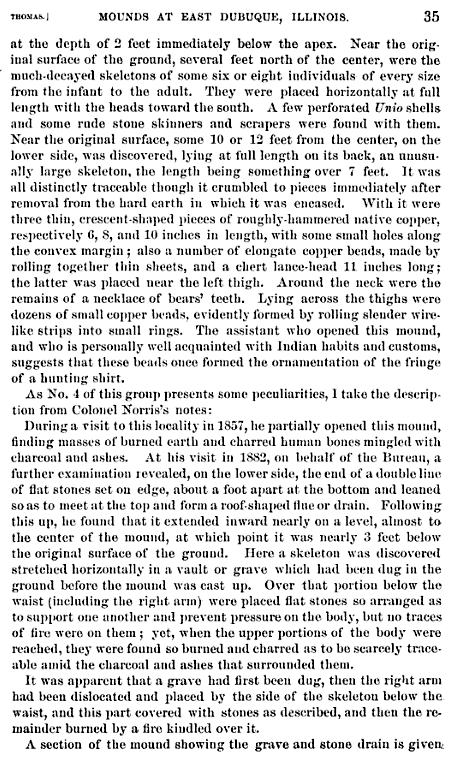 A female skeleton (burial #54) with a supernumerary tooth and retention of a baby tooth was found at the Dover Mound, Kentucky and in Franklin county, Ohio two skeletons next to each other, burial # 8 and # 11, at the Sidner Mound 1, both had a supernumerary tooth. 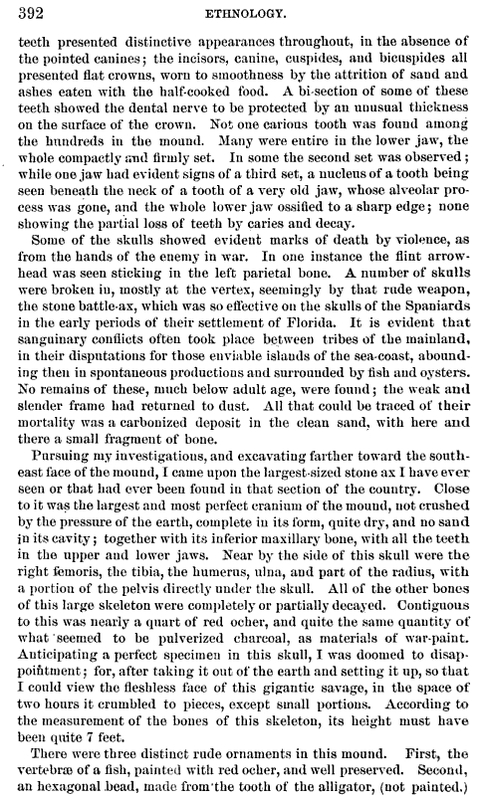 Dover Mound Page 43 – “supernumerary tooth” and other dental anomalies present in one tall woman’s skeleton. 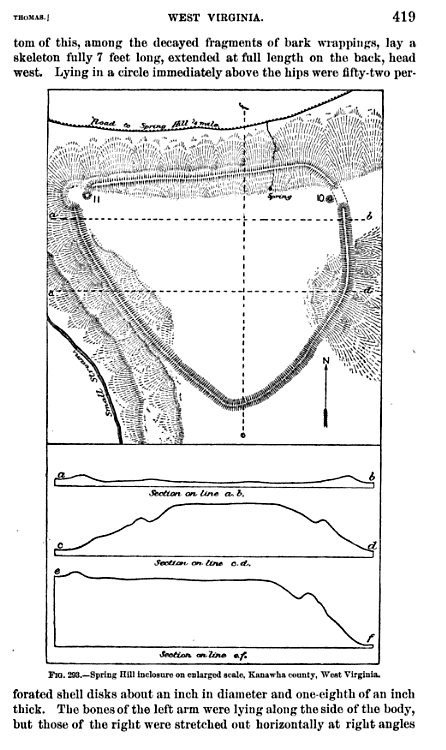 Mortuary Variability in the Middle Big Darby Drainage of Central Ohio Between 300 BC and 300 AD Volume 1, Bruce Aument – 1990, pg 266 – 267. 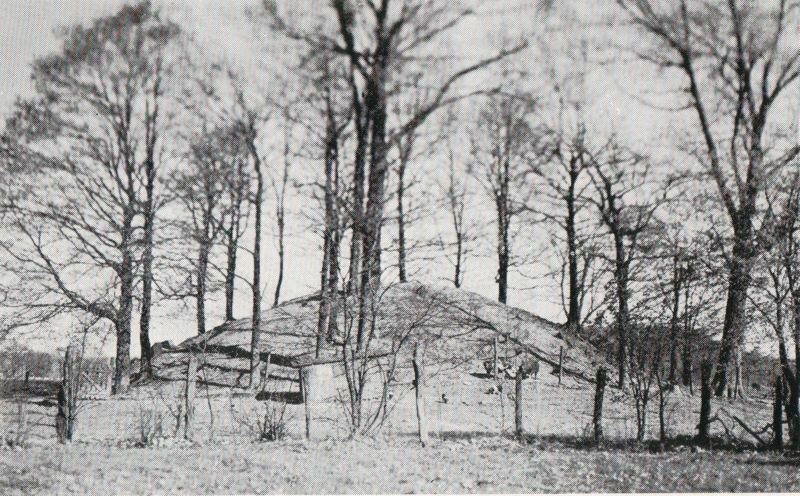 We know from Webb, Snow & Dragoo in their excavations at Adena mounds in 1950 to 1959 that in at least two mounds, taller than average persons were buried, even identified as shamans– men 6 feet tall, and some times a 7 foot man buried in the center of the mound, perhaps the central figure behind the mound’s very construction. 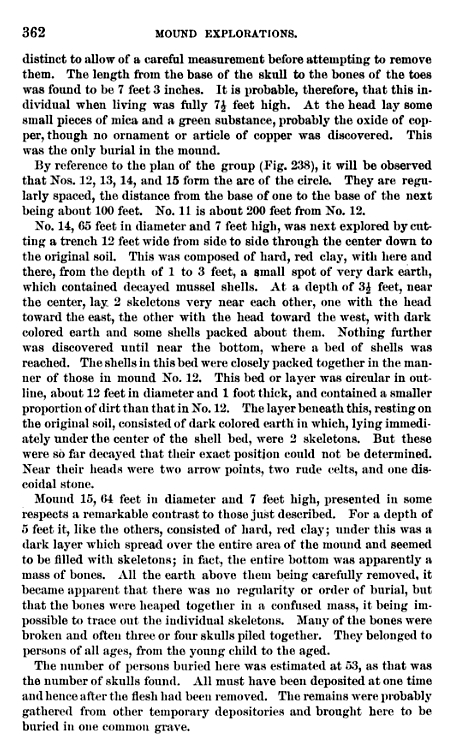 (See Dragoo’s photo of the Cresap mound burial 54, and Webb & Snow’s notes on Dover mound burial 40). 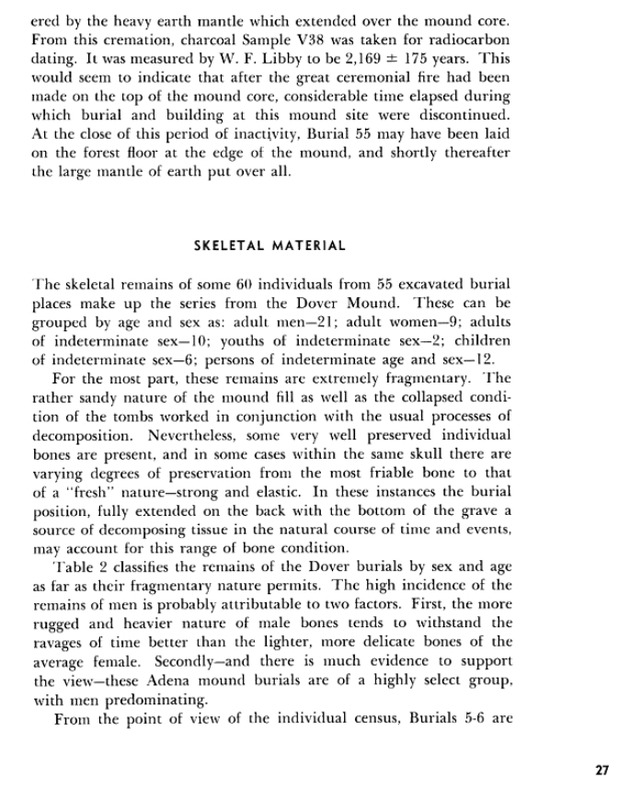 The most interesting prestige burial from The Dover Mound: A bark tomb in the center bottom of the mound (burials 40 to 43) held 4 skeletons; 3 of them 25-30 year old men, and 1 skeleton of a 13 yr old girl. A 7 foot man (#40) an approx. 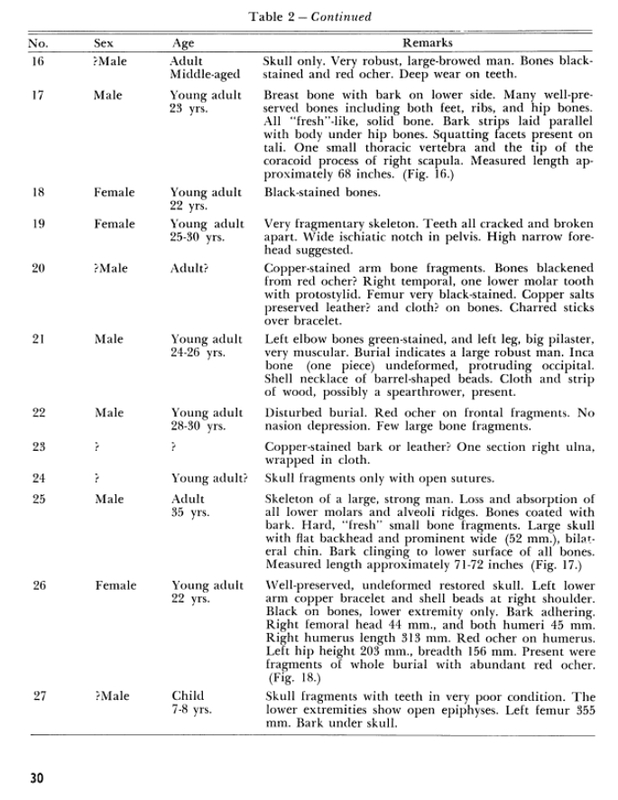 6 ft man (his femur was 19.25 inches, #41) a large cranially deformed man with wide cheeks and a hooked nose # 42, and the skeleton of a 13 to 15 yr old girl 5’3″ inches tall buried with some beads. 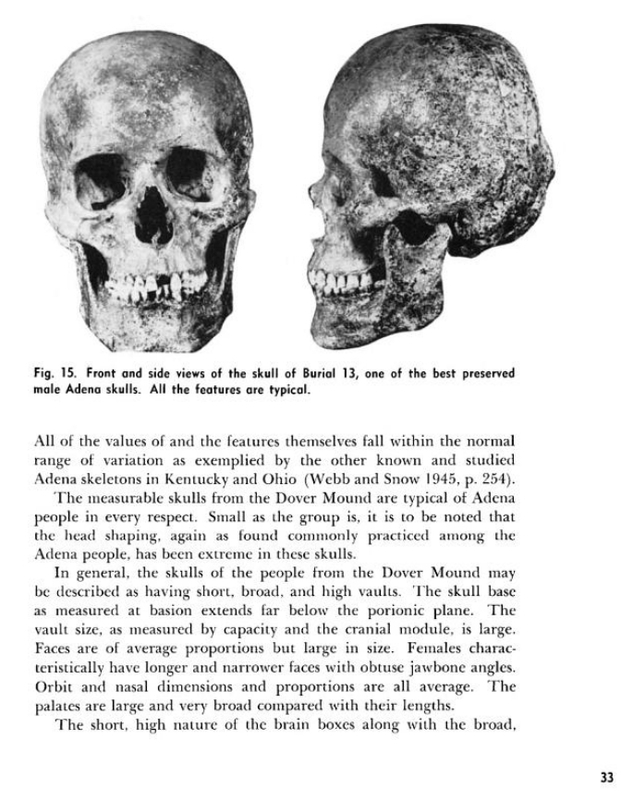 Dover Mound pg 39 “Hooked nose” skull, burial 42. These four burials were covered with red ochre and then set ablaze, but the cremation only smoked most of the bones, and didn’t destroy them entirely. I wonder if the 7 foot man was the chief, and the two other men his bodyguards or shamans, and the girl perhaps a princess, or wife possibly sacrificed to accompany her husband into the afterlife? The Cresap Adena Mound Giant, 7 feet 2 inches tall. 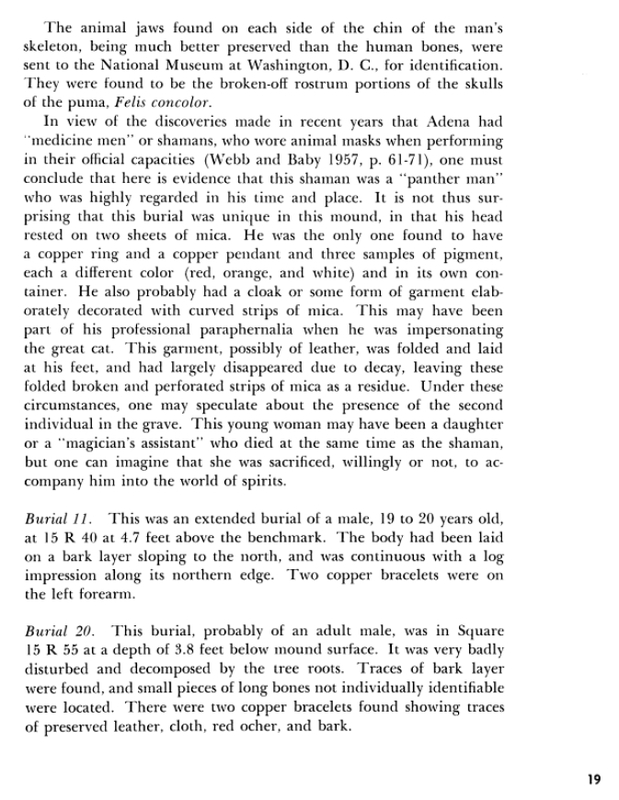 Mounds for the dead an analysis of the adena culture – Page 72 Don W. Dragoo Carnegie Museum, Carnegie Museum of Natural History. Dr. Dragoo placed a trowel in the rib section of the partially cremated but intact skeleton. Although not as ideal as a tape measure, this was standard practice in the 20th century, and can give us a fair estimate of the size of the skeleton. Also an approx. 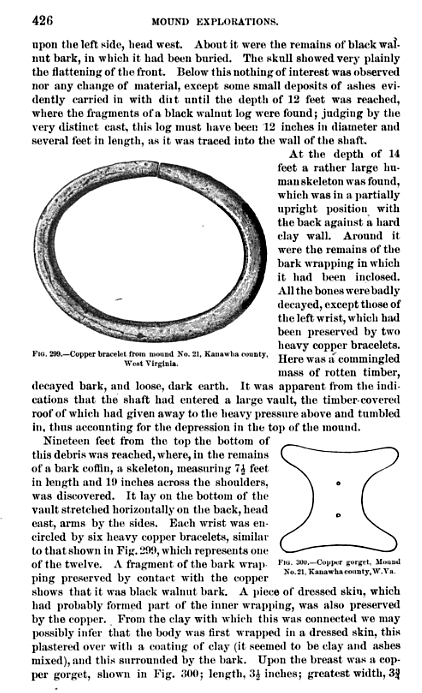 5 to 5-1/2 inch small flaked knife was one of the burial goods situated between the knees of the skeleton. This places the trowelblade at about 5 inches long, consistent with the most common size of Marshalltown trowels –commonly used by most American archaeologists in the 20th century. Using these objects as a reference I computed the skeleton to be from 6 ft 10 to 7 ft 2 inches tall in the flesh; the femurs approx. 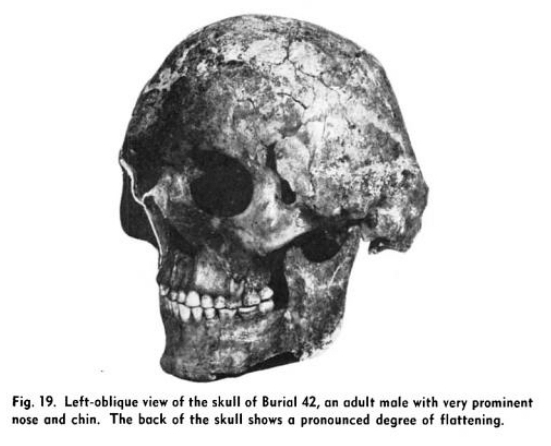 22 to 23 inches long, the pelvis 14-1/2 inches wide, and the length of torso, approx. 42 inches long from skull to tail bone –or sitting height– which is about 50% of total stature in most individuals. This more or less confirms Dragoo’s initial measurement of an individual approximately 7.2 feet tall in life, by my estimates. Giant Predecessors in America? New Evidence of a Giant-Sized Coverup By Gregory Little, Ed.D.